Want to reinvigorate your life? Is there any area of your life that could use a little reinvigoration? Are you ready to wake up with more energy, passion, and excitement than ever before? 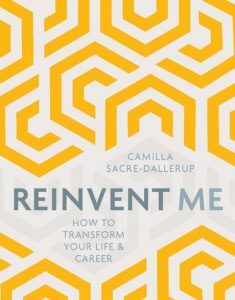 Join bestselling author, celebrity coach & hypnotherapist Camilla Sacre-Dallerup for this special REINVENTION day as she guides you through the 8 step program from her book “Reinvent Me,” where you will get the chance to tune into your deepest desires and unravel some of the blocks that may be holding you back. 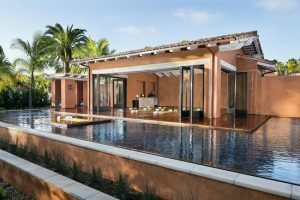 This intensive, inspiring retreat will take place at the luxurious 5-star Rancho Valencia Resort & Spa. Rancho has been hand-selected by Forbes Travel Guide as one of the finest Five-Star hotels in the world, and is one of Travel + Leisure’s Top 50 Best Resorts in the World. This is the perfect way to treat yourself, seal in your resolutions, and begin 2018 on a high note! Camilla is a coach who has walked the walk. Having fully reinvented her own career and life, she enjoys helping others connect to their power, confidence and self-belief needed to achieve their dreams. In 2008 at the top of her game as a professional dancer, Camilla left Strictly Come Dancing and has since undergone her own career reinvention. Having trained as a Life coach, NLP master practitioner coach and Hypnotherapist, Camilla now has her own coaching practice in Los Angeles called Zenme and is a highly sought-after instructor at Unplug Meditation. Reinvent Me is a complete 8-part program created by Camilla to help anyone who is considering reinventing any part of their life. In each part you will find exercises and tools, examples from Camilla’s own life, success stories from other people and a section on overcoming barriers. Each chapter ends with an affirmation for you to use as you complete each part of the program. The Reinvent Me Program in a Nutshell: R = Recognize: work out where you are and where you need to be currently E = Ego: learn how to free yourself from ego-based decisions I = Innovation: plan what action you need to take to start turning your dream into a reality N = Now: stop procrastinating and start taking action V = Visualize: visualize your reinvented life and find the courage within to start your new adventure E = Evolve: learn to go with the flow of life and become more you N = Nurture: discover why it’s essential to nurture your talents and yourself as you go through the process of reinvention T = Transformation: commit to your reinvention and embrace your new you.